We all know the scene. Row after row of cubicles as far as the eye can see with each one looking almost exactly the same. That may describe a corporation you have visited, or maybe you can look down the aisle from where you sit and see that very landscape. You’ll also notice that each cubicle contains a computer. From desktop to desktop, the PC is the same make, same model, and if you were to boot it up, the same applications are locked and loaded. Why is everything the same? Why can’t employees have a little hardware and software freedom of expression in their jobs? You don’t need to go much further than to ask the first company IT technician that walks past your cubicle. It is his or her job to keep your computer and all the hardware and software in the company running smoothly and to keep it stable and manageable. Yes, that charge does keep you restricted to a specific PC and on a predetermined operating system (OS) that may all seem hopelessly out of date, but it also keeps you and everyone else in the company, well, up and running (for the most part). But what if all the rules changed? What if everyone had different computers, different models, different brand names, different operating systems, a different assortment of applications, different email clients, different… everything? That dilemma is what IT departments are facing in the mobile age. A plethora of devices, operating systems and applications that are all coming to play in the corporate work space. And their job is to manage and maintain all of these devices as well as keep them working for you properly so you can get your job done. Mobile content delivery in the workplace has caused IT departments to expand their knowledge base exponentially to accommodate the new technologies, or to put a stranglehold on multiple platforms in order to keep things under control. Because of this mobile technology phenomenon, there has been a sharp rise in the need for enterprise mobile device management (MDM) and mobile application management (MAM) as companies strive to maintain order in employee engagement with mobile technologies. There is some growing confusion about the difference in the two fields, but there doesn’t need to be. Just like it sounds, MDM is the setup, allocation and support of the mobile devices used by the employees for company usage, and MAM is the deployment, management and support of the applications on the devices used by those same employees. That may sound overly simplistic, but misunderstandings are becoming more prevalent as the two fields become munged together. This is being brought about mostly by solutions vendors who are offering products and services that offer a “one size fits all” MDM and MAM answer. The purpose of this post is to not recommend any particular off-the-shelf solution – although, there are some effective and useful products on the market and more are appearing monthly. The truth is, the two disciplines of MDM and MAM are still unique in and of themselves, even if you do package them together. Let’s take a look at both and see why they are both important to any mobile learning implementation. Mobile device management provides a series of challenges. First of all, what devices are employees going to use for their company activities? This doesn’t just pertain to their mobile learning, but also to their email, calendaring, company intranet usage and so on. If they use devices that they personally own, also known as bring your own device (BYOD), the enterprise will need to determine the right balance for the employee in company and personal usage. If a company does follow the BYOD model, the devices could be smartly provisioned to make it easier for the user to separate business and pleasure. BYOD does make life easier for the end user because they are comfortable on their own device, but it creates challenges for IT because it is harder to support the variety of devices. BYOD can also have a bearing on your application development as apps will need to be designed for many devices and operating systems and that can create a substantive amount of development time. The other alternative is for the enterprise to purchase and equip all of the learners with identical mobile devices. Obviously, there is an expense involved by this approach, but it also allows for much greater control as all users will have the same device with the same OS and have access to the same applications. IT will also be able to build layers of security that function the same across the entire audience and that makes the devices safer and more secure. All of the devices, no matter what the make, will have a specific ID number. For instance, Apple devices have a UDID number that allows for the management and security to be device-specific. The MDM effort is going to involve distributing the chosen devices, keeping track of them (knowing which employee has which specific device), maintaining them and supporting them. There will be consistent issues where users don’t understand how to use the device or why the device just isn’t working and sound mobile device management will help answer these problems. Now that you have your audience equipped with mobile devices, you are going to want to load some effective and engaging training on them. You didn’t get them all mobile-ready just so they could get email! Now you need to be concerned about what applications are on the mobile devices and how they get there. We are used to going to an app store, for instance, and downloading an app for free or for a small fee. But do you want your employees to be going to the Apple App Store or the Android Market for their company mLearning? Probably not. There are some vendor solutions available that will allow you set up your own app store that has your own branding. This is a big plus for those enterprises that have spent a lot of time and money building a company “university” identity. Your development team and IT work together to set up the store and your learners simply tap the store icon to retrieve their apps. The whole process works the same as the retail app stores, but this store is your own and gives you the security and management options that you need. This ease of downloading will give your learners a positive user experience and that’s important especially on your first rollout of mLearning. Good mobile application management is also going to demand other requirements so your learners have access to the best and current versions of apps. You will want to push notifications to let them know when a new iteration of an app is available that has new content or bug and security fixes. They’ll also need to know when a totally new app is available. Your application management will help in other areas such as security and metrics. There is greater control over the apps as it becomes possible to disable and even wipe an app remotely if something appears wrong in the authentication of the user or the device. Mobile apps can actually be more secure than eLearning, and that will be good news for executive management and the IT department alike. It’s also important knowing who specifically is using your app. Mobile application management will give you helpful metrics such as who is downloading the app, if the app is launched, how many times it is used and other critical measures of effectiveness. 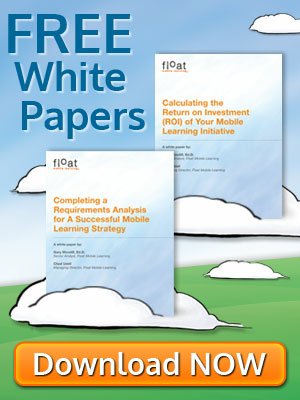 If you have goals related to your mobile learning such as ROI, these metrics can be extremely beneficial to building an mLearning success story. All this being said about mobile device management and mobile application management, the first step is to build a strategy for your specific needs. You won’t be able to make an informed decision about MDM or MAM until you know what requirements you have that are unique to your enterprise. A vendor solution might be just right, or a custom solution might be in order. Be careful of being shoehorned into a solution that makes you compromise on your priorities. In the months ahead, you may hear some opinions that MDM and MAM are becoming one in the same. Just putting the two in the same package doesn’t make them one solution. That didn’t work for peanut butter and jelly in the same jar and it doesn’t apply here. Both disciplines require your utmost attention in order to build an effective mobile learning program in your enterprise. 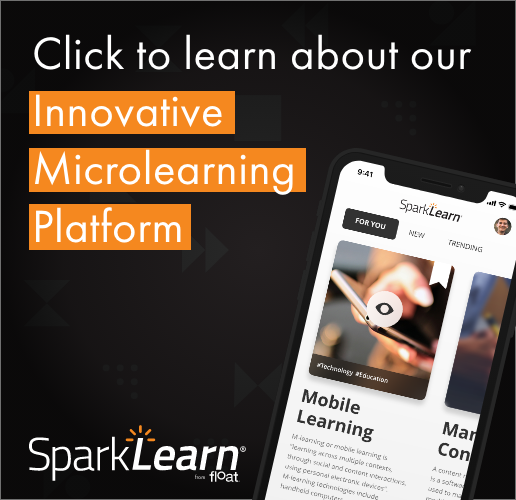 If you want to create a mobile learning strategy, I suggest you take a look at the Six “P”s of Mobile Learning for a more detailed look at all of the concerns that go into making a decision on MAM and MDM. Are any of you using an MDM or MAM solution in your organization right now? Did you use a vendor solution or a custom solution? Or do you have any questions about either one? In the comments section below, share your experiences, both good and bad, or any questions or comments and let the rest of us know your experiences.